After 27 years at Cottonwood Golf and Country Club in Dewinton as Head Professional, Director of Operations, Executive Professional, and General Manager, Tiffany has embarked on a new platform as one of the PGA of Canada Teaching Professionals at the Golf Academy at Heritage Pointe in Calgary. Born and raised just south of Calgary in High River, Alberta, Tiffany had a passion for the game which became very evident at a young age. After a self-rewarding junior career, growing up around the golf industry, a career in golf was a natural path. After graduating from the Southern Alberta Institute of Technology with a Diploma in Business Administration and a successful three-year stint on the golf team where she was ACAC Champion in 1987, 1988, 1989, and also Female Athlete of the Year, her start in the PGA of Canada began. After her involvement at Cottonwood from 1990 to her current position, Tiffany has had an opportunity to be involved in many aspects of the Golf Industry. Her involvement on the Board Level with the PGA has become a priority which she enjoys currently today. For over twelve years, Tiffany has worked with the PGA of Alberta Golf Shows, starting as a volunteer and working into a position of Chair of both shows. 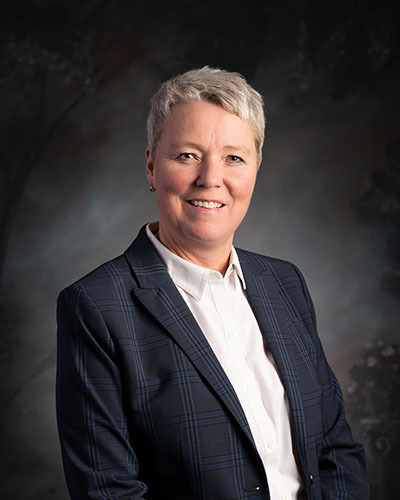 Currently in another term on the PGA of Alberta Board of Directors and in her second term as a Director and Secretary of Alberta Golf, she continues to involve herself in the industry. To grow the game and support the industry will always be a mandate for Tiffany. She is also involved with numerous charities and finds time to give back working with such programs as Golf Around, Kids Cancer Care and Cystic Fibrosis. The Foothills Country Hospice is another charity which she holds near to her and her family.